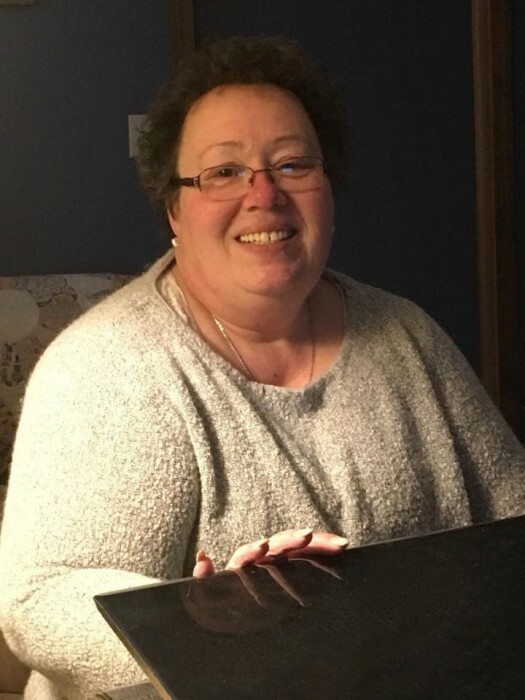 Carolyn (Hubbert) Blain age 61, went to be with her Lord, Sunday, March 24, 2019. She was preceded in death by her daughter, Megan Reil; father Clarence Hubbert; brother, Michael Hubbert ; father and mother in-law, Roger (Beulah) Blain. She will be lovingly remembered by her husband of 28 years, Timothy Blain; children, Matthew (Diana) Reil, Kelli (Mike) Gower, Hilary (Patrick) Volz; grandchildren, Connor, Jimmy, Elias, Charles, Alexander, Brycen, and Kallen; parents, Patricia (Bill) Troxell; siblings, Deb Van Antwerp, Steve (Becky) Hubbert, Joanne (Stephen) French; in-laws, Martha Katt, Arnold (Irene) Blain, Randy (Mary) Blain, Susan Gillhespy, Dave (Penny) Blain; many nieces and nephews. Carolyn loved her family, she enjoyed bird-watching, spoiling her grandchildren, and spending time with her children. She had a larger than life sense of humor, and an honest and pure heart. She loved her dogs, Oscar, Boris, and Sam. Visitation with the family will be held from 4-7PM, Wednesday, March 27, 2019 at Kubiak-Cook Funeral Home, 312 N Main, Wayland. Memorial service will be held at 11AM Thursday, March 28, 2019 at the funeral home with Deacon Jeff Ryan officiating. In honor of Carolyn, contributions may be made to Kindred Hospice. The family welcomes memories and messages in their guest book online at www.kubiakcook.com.